Back to the summer road trip in Scotland with Sam. After leaving Inverness and our rough night’s sleep behind us, we made our way along a more scenic route towards Aberdeen. Instead of taking the direct route, we went through the Cairngorms National Park. The most wild and baron landscape I’ve seen after Dartmoor. At its peaks, you can see nothing for miles around, there are no follies or forests to obscure horizons, no small villages with smoke rising from chimneys. It is wild. Its valleys only adorned with a singular house that perhaps isn’t even occupied. A great thinking space. On our way through to Aberdeen we made a few stops (mainly to give the car a break after all the hills and rugged roads) one of those stops was Loch Garten. Here, there is a large Osprey centre and you can see Ben Macdui - the second highest mountain in Britain. It is densely surrounded by the Abernethy forest, the largest natural forest in the UK. 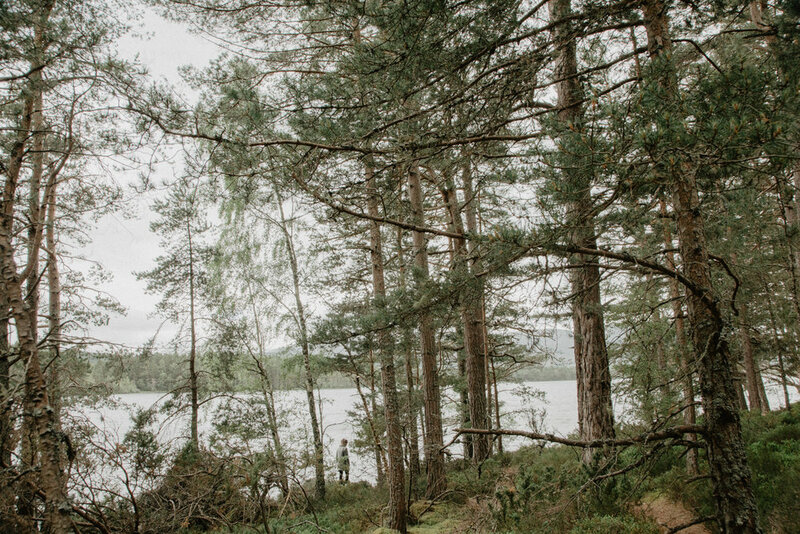 We took a turn around the loch with Caledonian pinewood towering above us and walked along its narrow beaches. It’s a quiet place, again, no influx of tourists or altered landscapes to be seen here. If you want to get away from people, this is the place to go.